Heartworms are spread by mosquitoes that are infected with immature or “baby” heartworms when they bite an infected dog and ingest its blood. The baby heartworms, called microfilaria, mature into larvae in the mosquito. 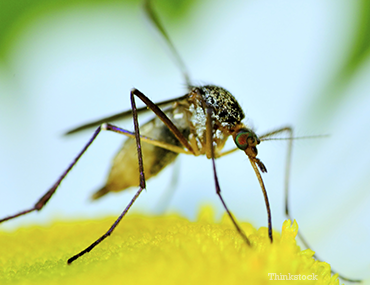 When the mosquito bites another mammal, like a dog or cat, the larvae are left on the skin and migrate into their new home. They migrate through tissue, under the skin, and eventually enter the blood vessels, where they quickly take a ride to the arteries of the lung. It takes approximately 6 months for infectious larvae to grow into mature heartworms and begin procreating. Adult heartworms can live 5—7 years in a dog and, unfortunately, they enjoy living in the pulmonary vessels of the heart, which can wreak excessive damage on a dog’s heart and lungs. Having an accurate history of the dog’s whereabouts, lifestyle, and symptoms is helpful in diagnosing heartworm disease. Your veterinarian will perform a thorough physical exam, and may recommend diagnostic tests to determine if your dog is infected. The best news about heartworm disease is that it’s easily preventable! Preventive medications to combat heartworm disease are often provided in the form of a monthly chewable tablet, or a topical medication. 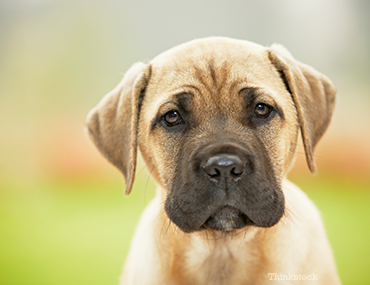 Be sure to discuss your dog’s risk with your veterinarian to determine the best preventive for your furry friend. It is recommended your dog be tested annually for heartworm disease—even if they are on a preventive—to ensure that they are not infected. Not all preventives are 100% effective, and many of the tests available today have the additional benefit of detecting other infections, such as Lyme disease, with one blood sample. Call Falls Road Veterinary Hospital 301-983-8400 today to schedule an examination and discussion with a doctor about any questions or concerns you may have about this disease or anything else affecting the health of your pets. Or fill out our contact form and we will get in touch with you.